We offer a complete island-hopping experience. Start Island Hopping How does it work? 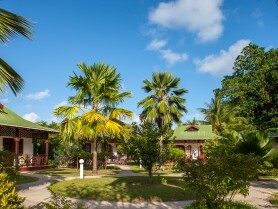 The offer includes complimentary return flights from Mahé to Desroches Island for 1 child an 1 infant as well as free dining for 1 child an 1 infant. 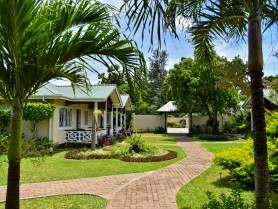 We at Seyvillas want your Seychelles holiday to be an unforgettable experience. Therefore, we will be more than happy to advise you and to help you create your very own tailor-made dream holiday package. Luxury does not have to be expensive! Choose your island and accomodation, and we will arrange your island hopping experience to fit any budget. 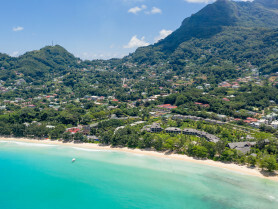 Let us know how you enjoyed your holiday in the Seychelles. really good accommodation for the money , breakfast was good loads of fruit, pancakes and toast delivered to your room every morning and when you had a excursion and left before breakfast they prepared something the day before. The manager and reception assistant were really nice. All the transfers we had went smoothly, creole travel were so good and let us know of any changes to the times before hand , they were always there and available. All the Transfers, stay , rental car (New and clean) , excursions were well organised and on time. And we didn't face any problem during our stay. 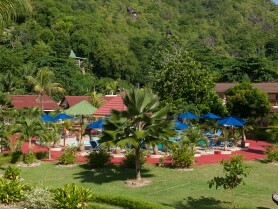 All the staff of Creole travels are helpful and kind. Excursion on 17/3/19..Vallee de Mai and Anse Lazio was supposed to be by boat, but they changed that to by Bus. She (Creole representative) called me in the morning and asked whether we are fine with Bus or if we want we can cancel the trip. We did that trip by bus only. Bus trip was also great with a nice guide, Jimmy. Excursion on 20/3/19...Starfish: St Anne Marine Park.. They cancelled the trip (Coz of some boat issue). But Creole representative helped me in finding the same kind of excursion with another company at the 11th hour. And I got the full refund well on time from SeyVillas. Amazing place with Crystal clear water, nice beaches, various water activities, tasty food. People there are polite and helpful. Great Location. Room and Toilet looks old. Food was nice in their Pizzaria. Nice beach. Great Location. Nice Rooms (Little small). Wednesday market near beach was great. All the transfers were well on time. Staff courteous and helpful. Vehicles were clean and well maintained. Overall, everything went well and smooth.